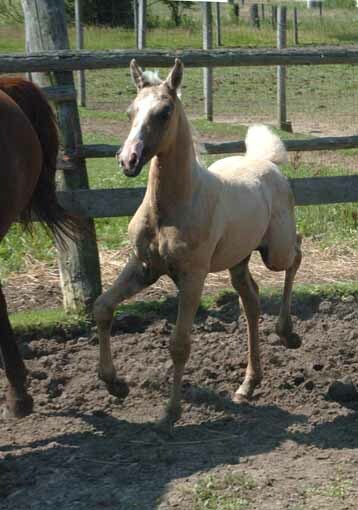 I was really excited to see this baby arrive! 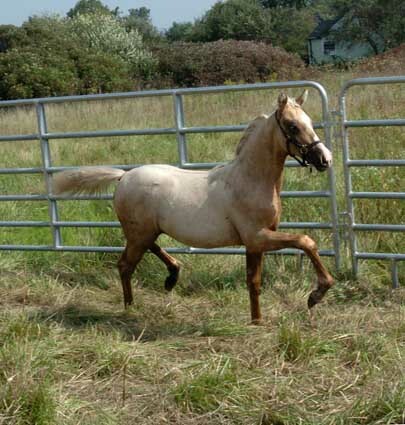 I purposely brought paternal siblings together in hopes of cementing the positive attributes that Fiddler's Blackriver offered his offspring: phenomenal hocks and rear ends, willing, smart personalities, and absolute beauty. 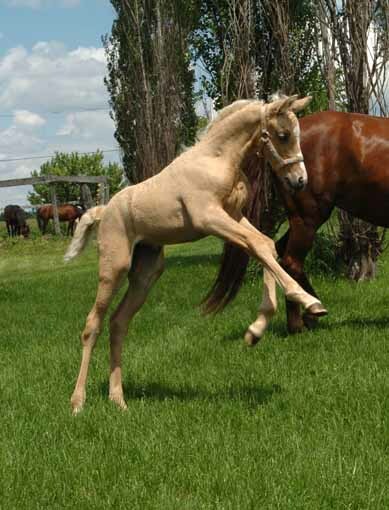 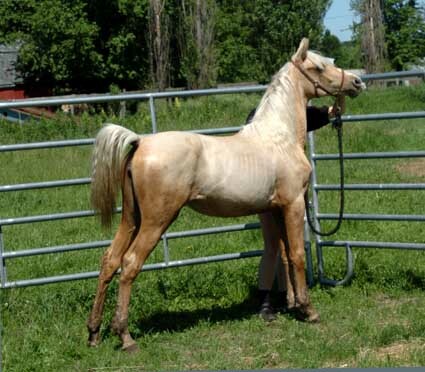 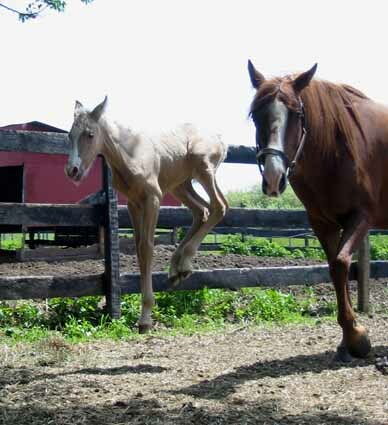 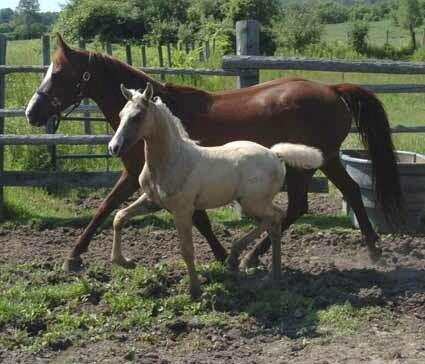 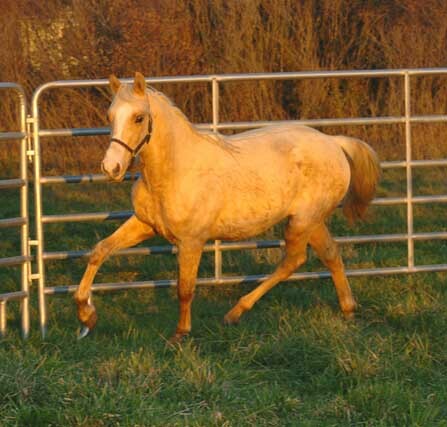 Of course, I also hoped for a palomino filly with momma's "vroom" for life, daddy's outstanding athletic ability, and both parent's kind & willing dispositions. 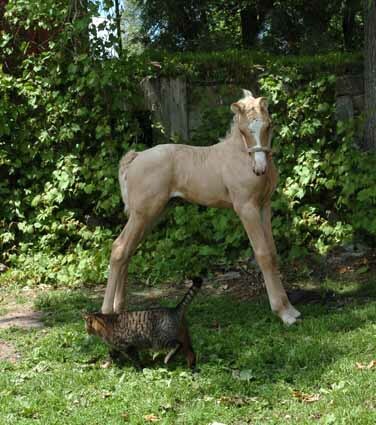 As Piper matures, I know she is *just* what I had ordered! 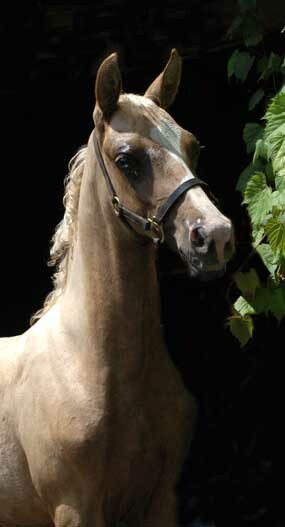 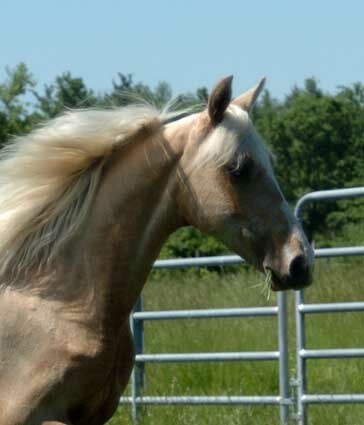 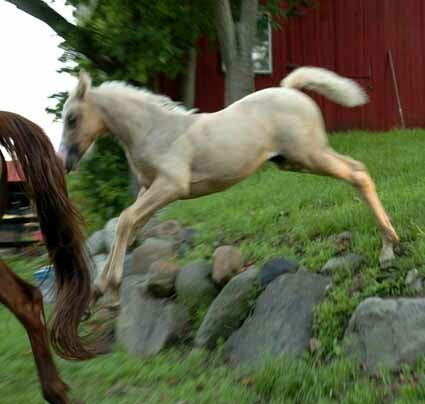 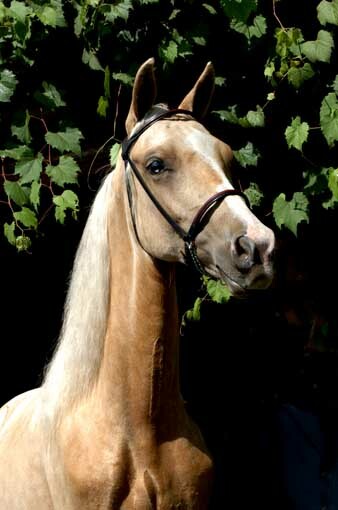 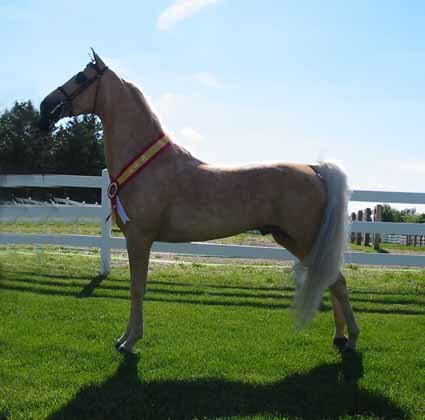 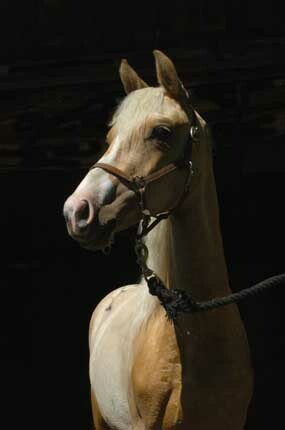 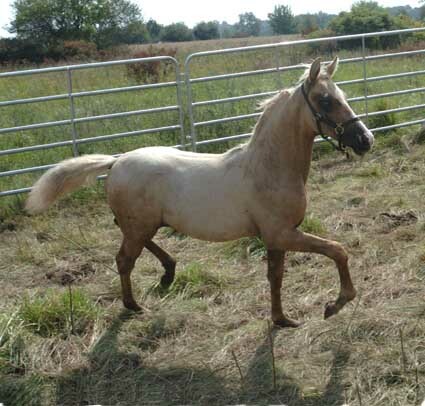 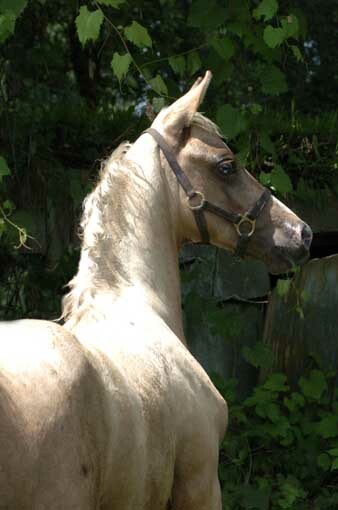 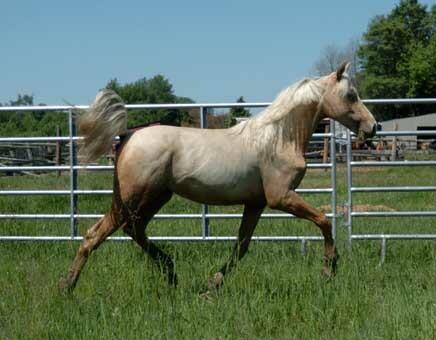 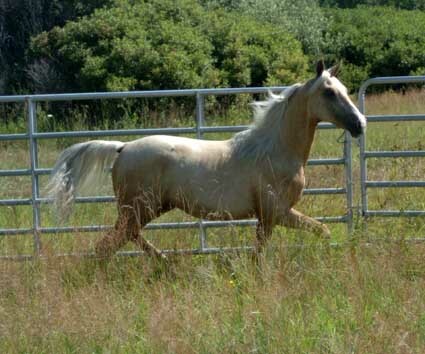 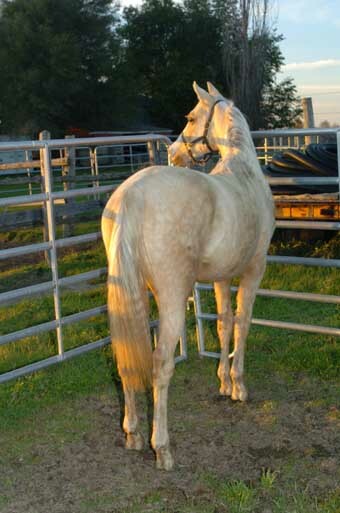 She will be a light, creamier shade of golden-yellow, with her white mane and tail for a lovely accent. 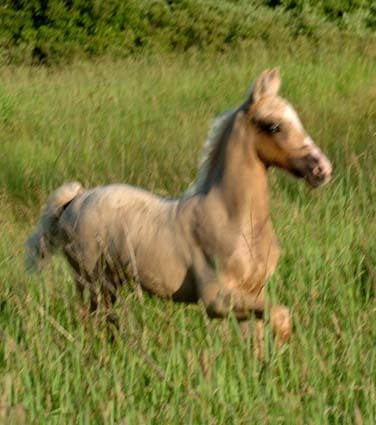 She has such a beautiful head with big eyes, and a gorgeous and unique striped face to help help set her off. 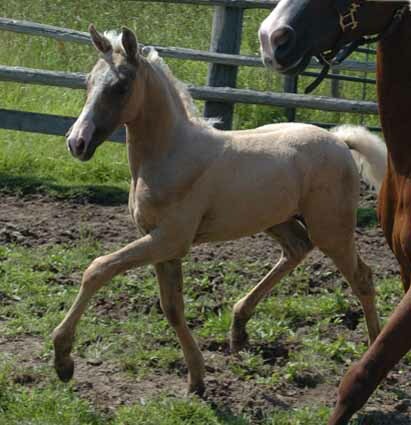 She has grown like a weed and will easily mature at 15 hands or more. 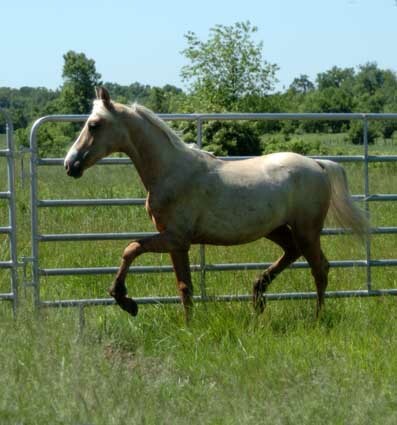 She has good legs, feet, and an awesome hip full of depth and muscling. 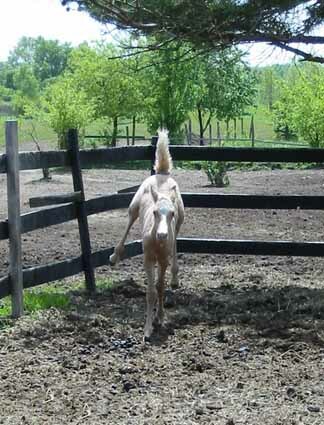 It's too soon to determine a division, but all her dams previous fillies have spark and snort and "GO!" 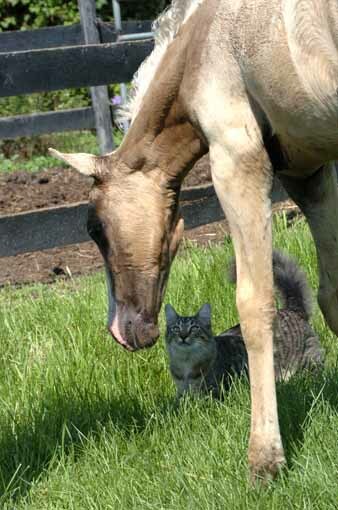 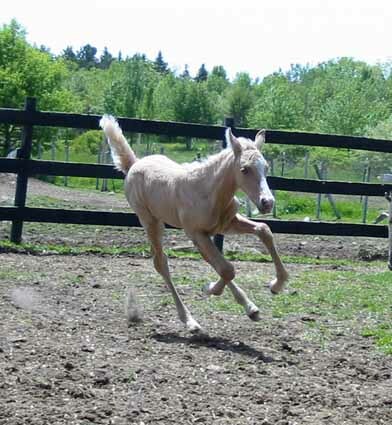 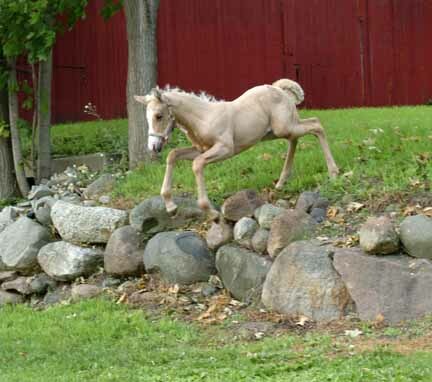 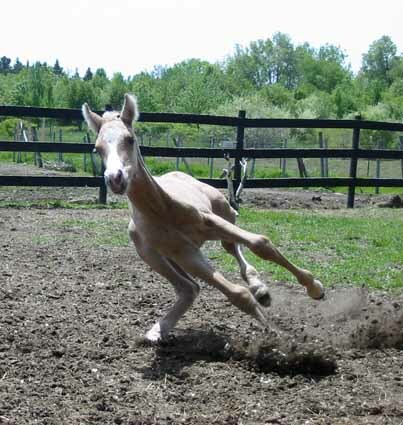 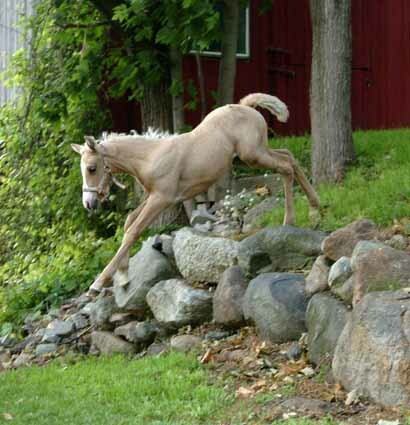 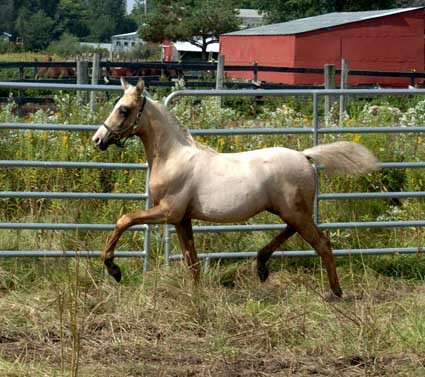 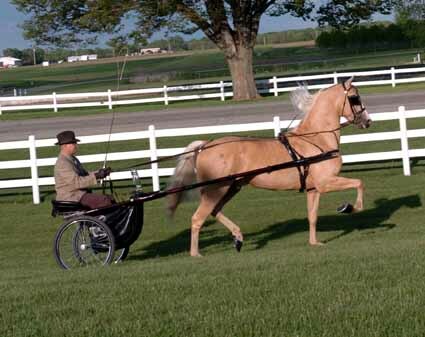 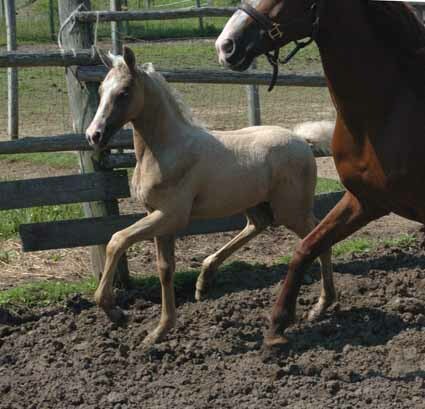 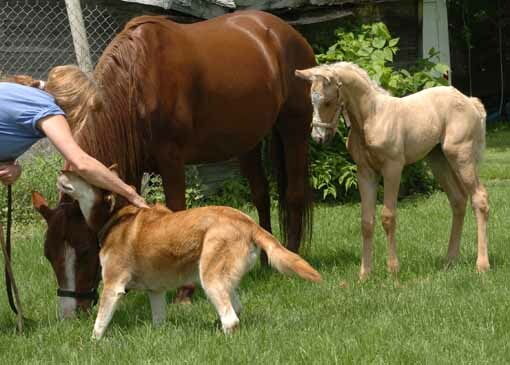 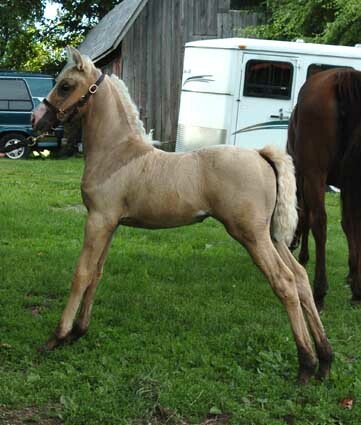 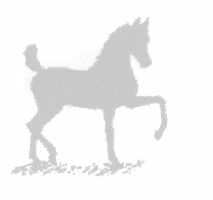 Her sire is producing upright foals with spark, brains, and awesome athletic ability. 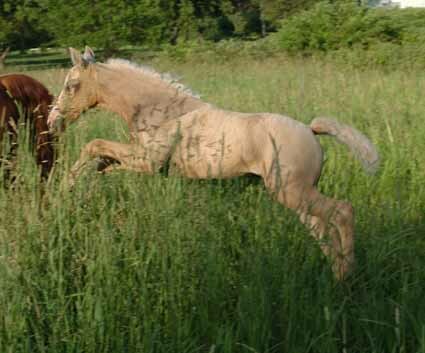 Piper should be no different. 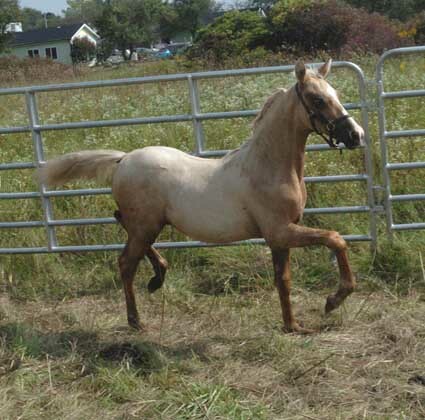 She will make a great performance horse, an in-hand star, and a phenomenal broodmare in her future years. 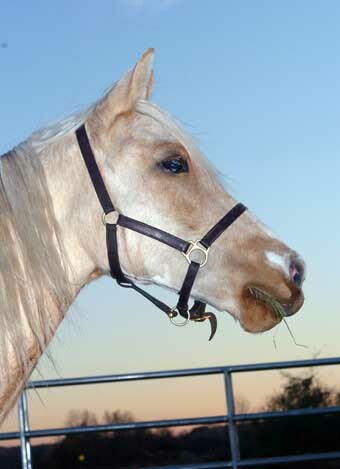 Gee, could you ever tie of this face greeting you every day? 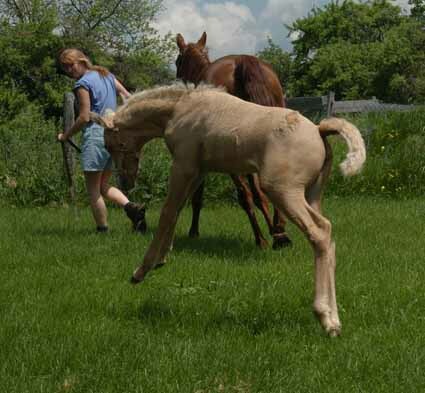 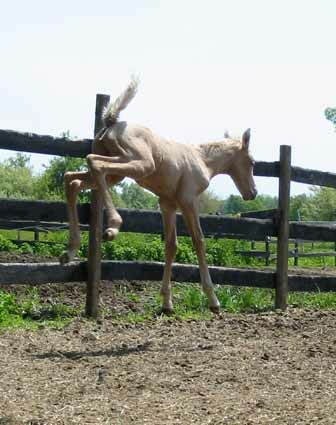 Four Days Old And Already Well Versed In Her Lipizzaner Acrobatic Feats! 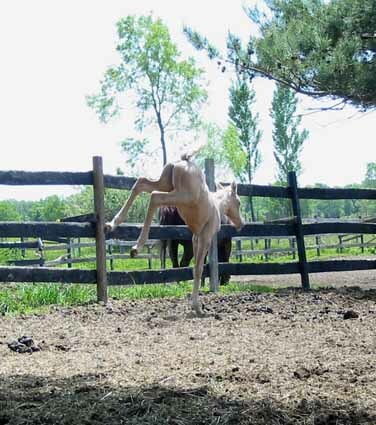 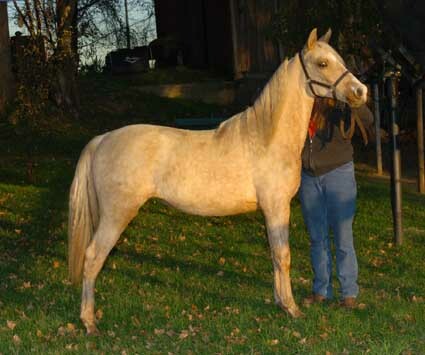 Shown above in the fall of her yearling year. 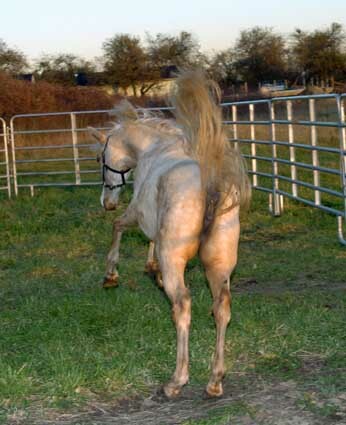 Below: Piper carries the "Splash" markings; a partial blue eye and odd snip. 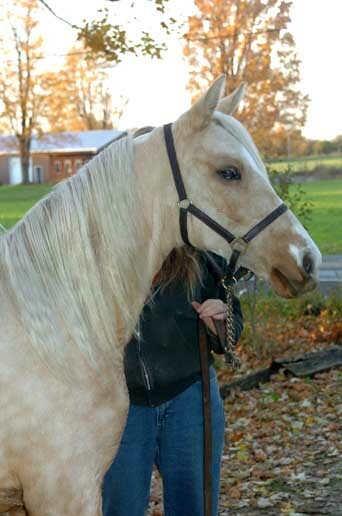 View more of "Blitz "
View more of "Chance "